Thank you for your interest in supporting this critical service through the gift of your time. The Lion’s Pantry needs volunteers to help maintain the facility during its hours of operation! This includes sorting through items, composting expired items, and reorganizing shelves. Individuals: Volunteer opportunities are available on the Council of Lionhearts volunteer page, and shifts are from 3 to 5 pm, Tuesdays and Fridays. Additional volunteer opportunities may be available throughout the semester and will also become available on the site. 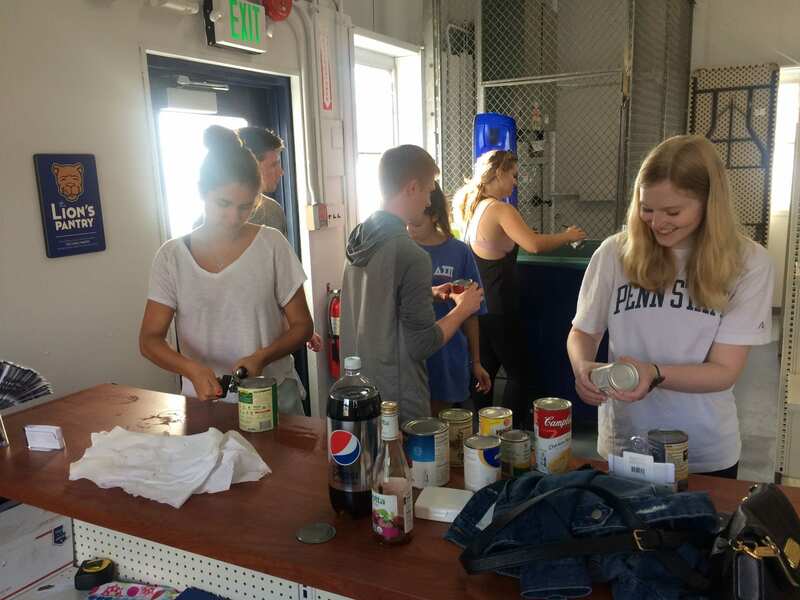 Groups: If your organization, office, residence hall floor, or group of friends is interested in volunteering at the Pantry, please email Ann White, Volunteer Coordinator, at lionspantrypsu.volunteer@gmail.com.